Kilner have been making durable and high quality glass jars and bottles since 1842. Made in England. Non - toxic and BPA free. 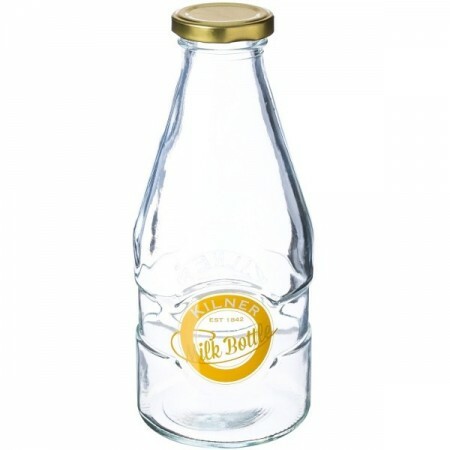 Vintage style glass milk bottle with screw top lid. Ideal for storing homemade nut milks, milkshakes and juices. 568ml. High quality glass bottle designed to be reused. Twist lid seals for freshness. 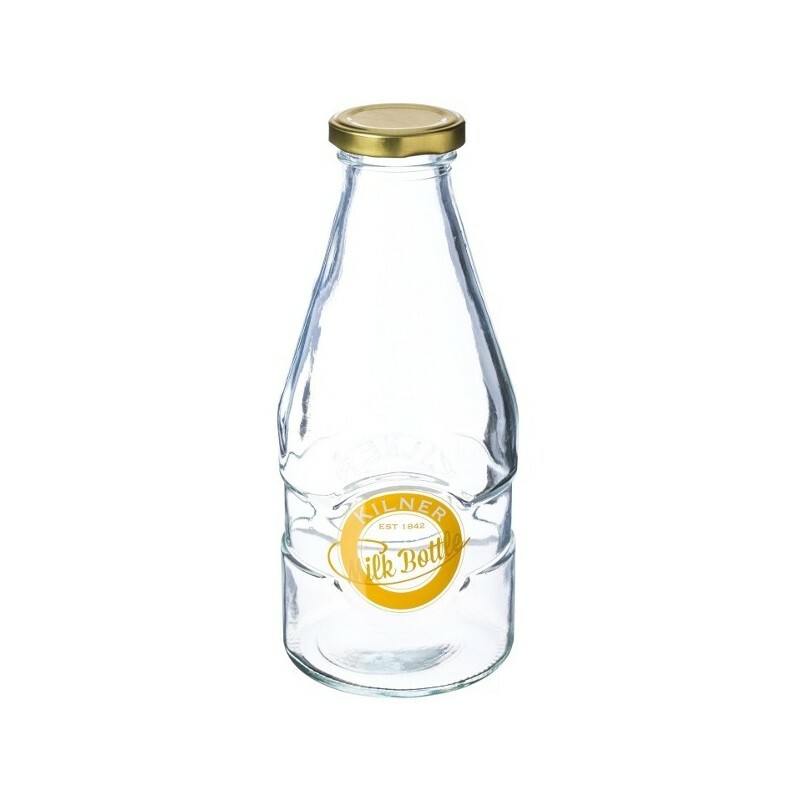 Vintage milk bottle design with Kilner logo. Ideal for serving and storing homemade nut milks, smoothies and juices. Top rack dishwasher safe, manufacturer recommend hand washing. Avoid the use of metallic or abrasive sponges and allow to dry naturally. Note: do not pour boiling liquids into this bottle. 19.5cm (H) x 8.4 (W) x 8.4cm (L) 568ml. Glass bottle, metal lid. I bought 2 of these to decant milk into as my 21yo son has a disability (FSH Muscular Dystrophy) and finds lifting larger cartons of milk very difficult when they are full. With the milk in these bottles, they're just the right size for him to use without having to worry about spilling as even when full, they're not too heavy. I've decided I will be buying more.